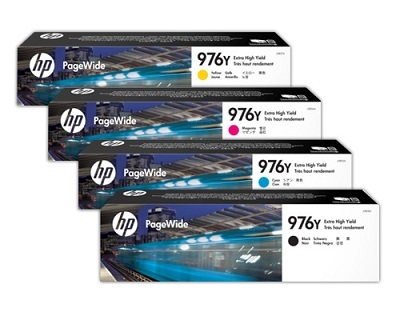 Rainbow bundle value pack of Original HP 976Y extra high yield ink cartridges. One (1) each of Genuine HP 976Y Black, Yellow, Cyan & Magenta ink cartridges. Page yields = Black 17,000. Magenta, Cyan and Yellow, 13,000 pages per colour cartridge. 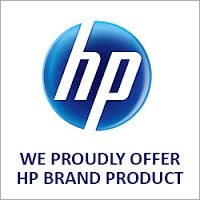 Manufactured by Hewlett Packard for installation in HP Page Wide Pro 552, 552dw, 577, 577dw, 577z, 55250, 57750 (only) ink printers.